South Dakota is one of the few states that have regulation in place for online gambling. However, at this time it only applies to operators. There are no specific laws for players. There are general laws for gambling, though, which will impact players. Those laws will limit players to what types of poker games they can play. We cover what those are, and where you can play, in our poker law overview of South Dakota. South Dakota doesn’t specifically mention playing poker online in their laws. However, they have a general gambling statute that we feel online poker would fall under. And they do have a statute about online gambling in regards to operators. In both cases it would be online poker illegal in South Dakota. 22-25-1 Gambling defined--Keeping gambling establishment--Letting building for gambling--Misdemeanor. Any person who engages in gambling in any form with cards, dice, or other implements or devices of any kind wherein anything valuable is wagered upon the outcome, or who keeps any establishment, place, equipment, or apparatus for such gambling or any agents or employees for such purpose, or any person who knowingly lets any establishment, structure, place, equipment, or apparatus for such gambling is guilty of a Class 2 misdemeanor. South Dakota doesn’t have any social gambling laws. The statute mentioned above would apply here, therefore making home poker games illegal. Do Casinos in South Dakota Offer Poker? You can play poker at the Royal River Casino, Dakota Sioux and Deadwood Mountain Grand. South Dakota has 50+ casinos in the state. We receive a lot of questions about South Dakota's poker laws. We thought it would be helpful to post those questions and our answers here. 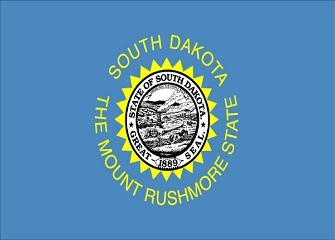 South Dakota already has regulations in place for operators that make it illegal to run a gambling establishment in or outside the state. We don’t expect South Dakota to change these laws or regulate internet gambling for players anytime soon. Is there an online poker room that accepts players from South Dakota? Yes. Residents can play at a room that services American players. This includes Bovada, Sportsbetting Poker and Sportsbetting.ag, amongst many others. What other forms of regulated gambling is offered in South Dakota? In addition to their tribal and commercial casinos, South Dakota also runs a state lottery, para-mutual betting, non-profit raffles and bingo. Where can I read more about South Dakota poker laws? Here are some interesting facts about poker and gambling in general in South Dakota. Gambling was legalized in Deadwood to not only bring in additional revenue, but to also help maintain local historic qualities. They legalized gambling in 1989. Prior to 2000, the maximum bet that you could place was $5. However, that maximum was increased shortly thereafter to $100. And in 2012, Deadwood bumped that up to $1,000. Layne Flack, a 6-time WSOP bracelet winner, was born in South Dakota on May 18th, 1969. He’s known for winning two consecutive events in 2002, earning him the nickname, Back to Back Flack.